Save the date: 40 & Forward Reception in Minnesota! On July 30th, the Southeast Asian Resource Action Center will convene a special community reception at the McNamara Alumni Center at the University of Minnesota on 200 Oak Street S.E. in Minneapolis. The reception will take place from 5:30-8:00 PM and will reflect on 40 years of the Southeast Asian American journey. The organizers hope to speak to the “vitality of Cambodian, Hmong, Lao, and Vietnamese communities in Minnesota today.” Minnesota is home to the fourth largest Southeast Asian American community in the United States, with a population of 125,000. “Emerging resilient from a shared refugee experience, our communities have been enriching the Minnesotan economy and culture for 40 years,” the organizers note. The program will have performances by acclaimed Southeast Asian American artists and will honor Hmong American community leaders MayKao Hang and Senator Foung Hawj. 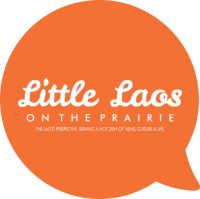 The MC will be Little Laos on the Prairie’s own Chanida Phaengdara Potter. Performances by Light from Heaven, Lao master story teller Banlang Phommasouvanh, and spoken word poet Bao Phi will be featured. An interactive art installation by Ashaley Yang is also planned. A national organization, SEARAC is currently convening receptions in only three states this year: California, Washington DC, and Minnesota. It promises to be an exciting opportunity for the community. To learn more about the Southeast Asian American experience in Minnesota, you have many resources available including the Minnesota Historical Society’s Immigrant Oral Histories project, including stories from Hmong, Khmer, and Vietnamese families who resettled in Minnesota, as well as the Lao Diaspora Project, among others.